Airmail uses iCloud Drive for two purposes, of course, only if you allow Airmail to use it. Drive. You can find the detailed article about saving messages to iCloud Drive here. 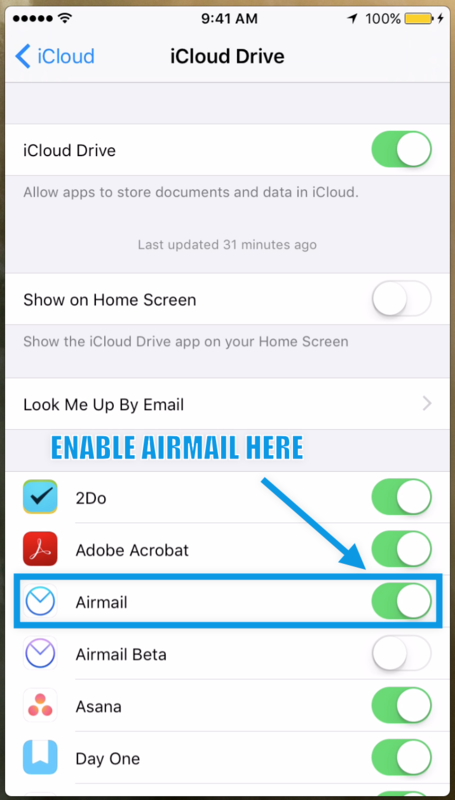 How to Enable iCloud Drive for Airmail? "Verify your iCloud Credentials" or iCloud "Disabled by System". list as shown in the picture below. This is the primary setting which should be enabled if you wish to use iCloud with Airmail.